Y&R Poland recently unveiled “The Live Fish Pack” activation for the Polish supermarket chain, Mila. Through today’s technology, frozen fish can actually be better quality than “fresh fish.” New processes in the fishing industry have allowed fish to be frozen straight from the boat within hours of being caught – preserving the taste, texture and nutritional benefits – compared to fish sold at “fresh markets,” which often has a week or more long journey to store shelves, and a long decaying process. However, many people don’t know or think about this, and have prejudice to include frozen fish in their diet. So, to communicate the freshness of its frozen fish range, the supermarket Mila decided to make an experiment with its clients. The challenge: how do you show the freshness of a frozen fish and to help change the consumer’s perception? Solution: by giving life to its packs! And, this is exactly how “The Live Fish Pack” was born. Using animated techniques, Y&R Poland, Jack the Maker and Raymond together developed a special set of packs that behaved like fresh catches. The packs were connected by wifi with a proximity sensor, shaking and jumping on the freezers, surprising consumers who approached the frozen food section. The activation was broadcasted on a specific website, where people could see the store in real time and activate the three “live packs” – Dorada, Mackerel and Tilapia – to prank the clients. 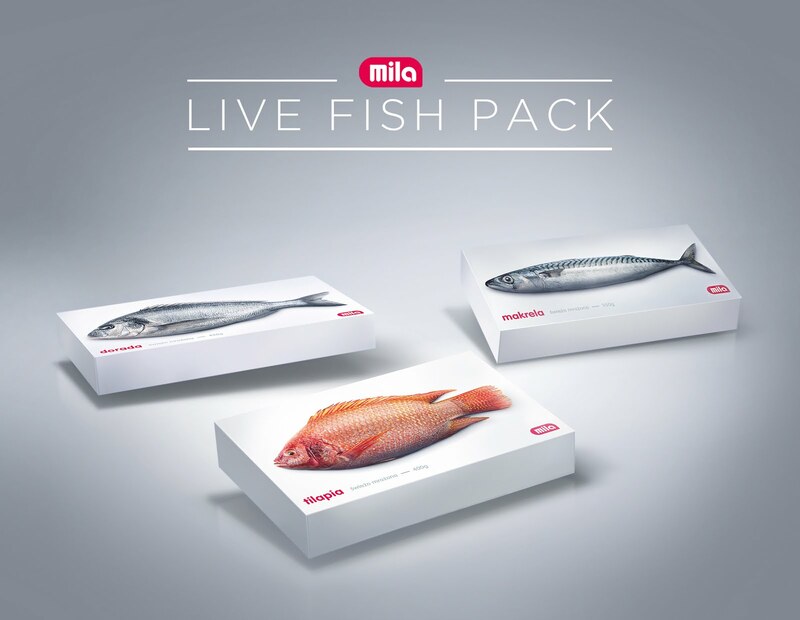 Using its pack as a media, Mila showed that its frozen fish range is surprisingly fresh!